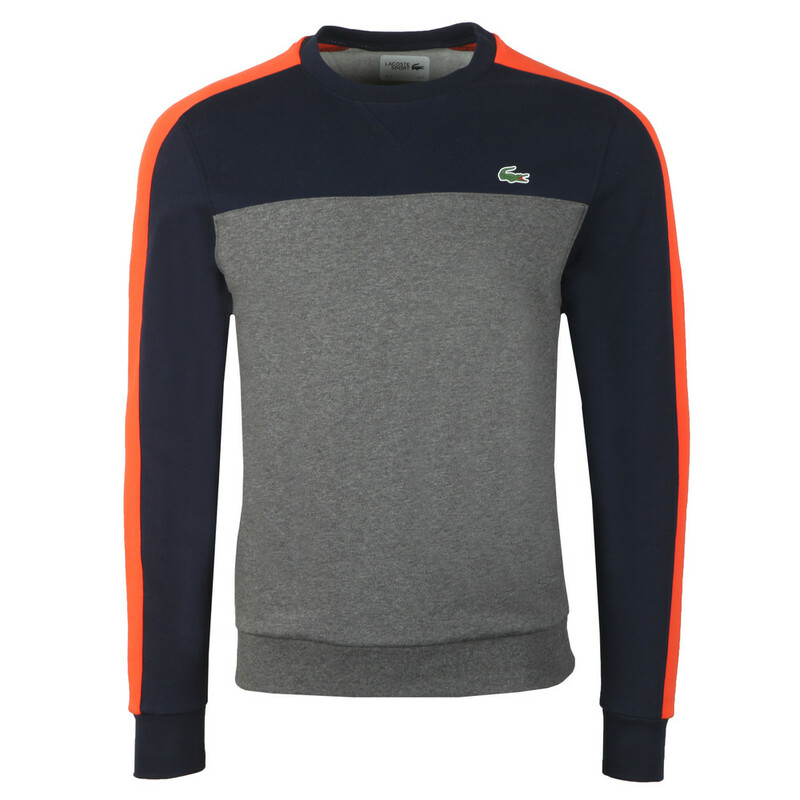 Lacoste Sport SH3549 Sweat in Blue Marine/Gris Chine. 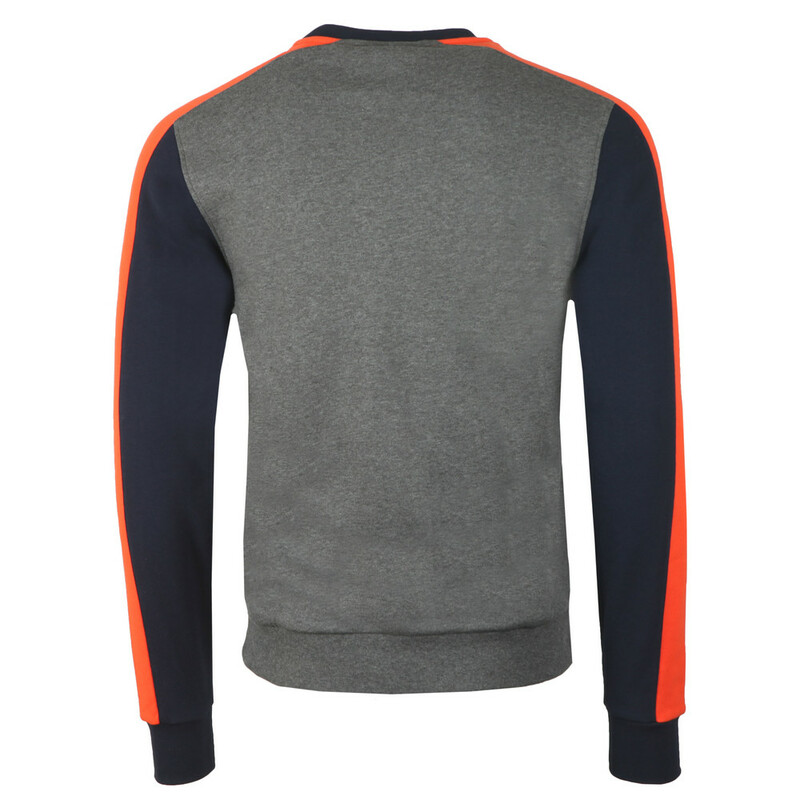 Given a contrast colour chest block and upper sleeves. 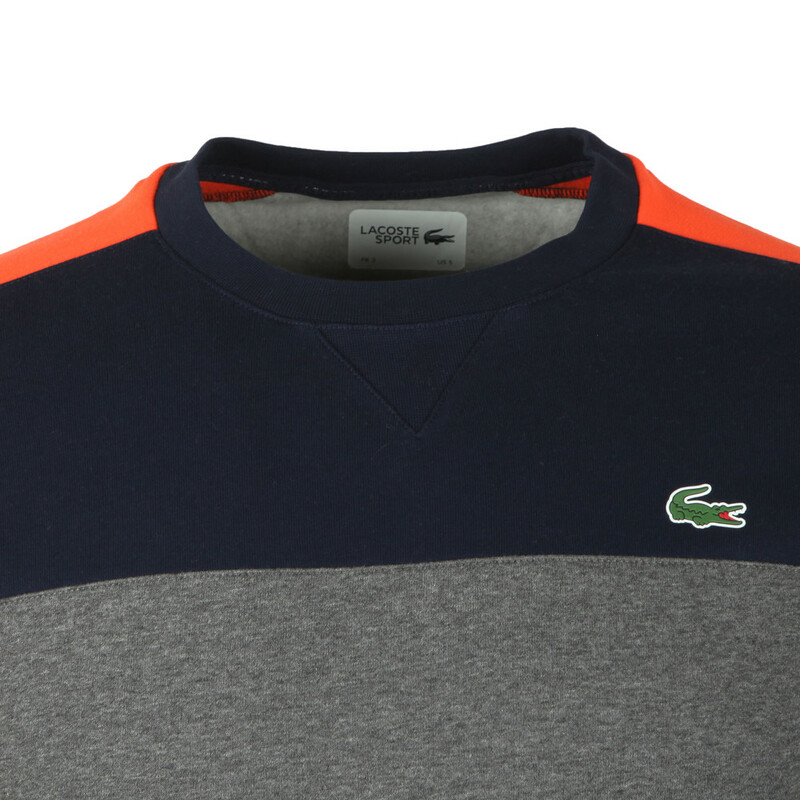 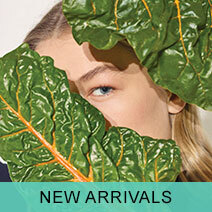 A rubberised Lacoste crocodile can be found on the chest.